For many years, ARFF has called for the retirement of Cora, an Asian elephant owned by Bill Morris of Gibsonton, Florida. ARFF believes that Cora is over 60 years old. 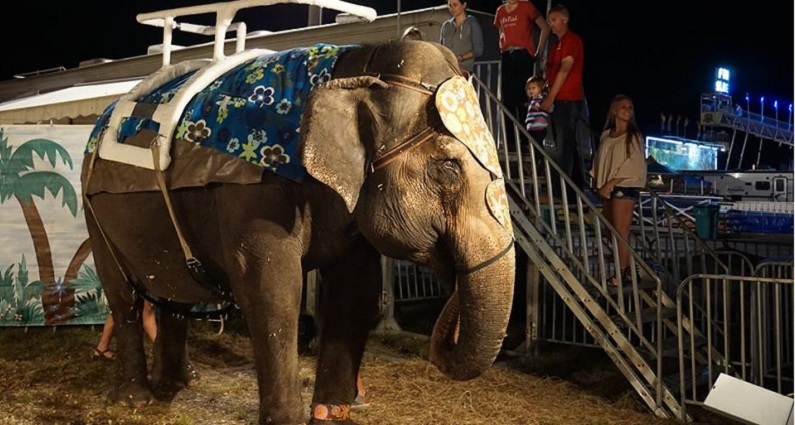 She may be the oldest elephant still traveling and performing in the country. The below photo is of Cora at this year’s Collier County Fair in Naples. The fair ended on Sunday, March 27. According to reports, Bill Morris died on Sunday. It is not known what his death will mean for Cora.